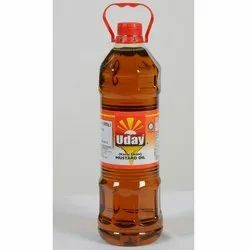 Leading Manufacturer of mustard oil, cooking mustard oil, edible mustard oil, uday mustard oil, suraj mustard oil and uday mustard edible oil from Ahmedabad. Mustard oil basically consists of fatty acid, oleic acid, erucic acid and linoleic acid. It has antioxidant and cholesterol reducing properties. It is also loaded with essential vitamins. Though this oil is nutty tasting it is good for the heart and also has many other benefits. Mustard oil that we process is rich in MUFA (mono-unsaturated fatty acid). The smoke point of this oil is high and hence, lasts even after long shelf storage. Moreover, our oil is widely used in making mouthwatering Indian delicacies. It is also one of the commonly used natural preservatives for preparing pickles. 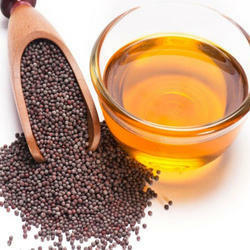 We are leading supplier of Cooking Mustard Oil. It has antioxidant and cholesterol reducing properties. It is also loaded with essential vitamins. Though this oil is nutty tasting it is good for the heart and also has many other benefits. We are one of the prominent Manufacturers and Suppliers of Edible Mustard Oil in the market. Our Mustard Oil is extracted from quality mustard using the advanced processing techniques. Known for its pungent odour and natural properties, this oil enhances the taste of the food cooked in it and helps stimulate the appetite. 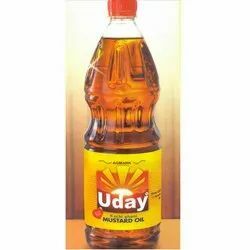 We are leading supplier fo Uday Mustard Oil. Our Mustard Oil is extracted from quality mustard using the advanced processing techniques. 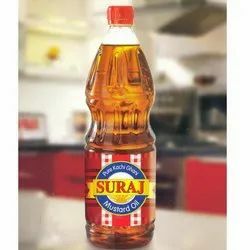 We are leading supplier of Suraj Mustard Oil. It is also loaded with essential vitamins. Though this oil is nutty tasting it is good for the heart and also has many other benefits. Looking for Mustard Oil ?